If you want to learn how to maintain and repair (or customize and hot rod) your air cooled Volkswagen then you need a good manual or two. 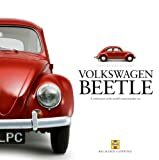 The air cooled VW repair and customization books on this page are available through Amazon.com. My own recommendation is that you get a copy of John Muir’s How to Keep Your Volkswagen Alive and a Bentley Manual appropriate for the year car you have as the bare minimum. I like to have as much info at hand as I can so I have these as well as a few more. The Haynes manuals arent my favorites but they do come in handy too. Right now I have John Muir’s How to Keep Your Volkswagen Alive, Type 1 1970 to 1974 Bentley Manual, Type 1 1966 through 1969 Bentley Manual, VW Beetle & Karmann Ghia Haynes Manual, 1600 1970 to 1974 Beetle & Super Beetle Haynes Manual, HP Books, How to Rebuild Your Volkswagen (Lots of great pictures and info). I even have the old Larry Johnson hardcover Fix Your Volkswagen. I also have a few catalogs including: Wolfsburg West , EMPI and JBugs. Catalogs are a great reference to have on hand when looking for interchangeability, year changes, just generally “what fits what?” I have used the Wolfsburg West catalog as much as any other manual on some projects. Whatever model, or Type, you are working on I highly recommend that you start building up a manual collection. 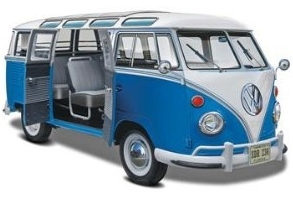 Complete details for rebuilding air-cooled engines in all chassis from 1961 to 1983: Beetle, Ghia, Bus, Squareback, 411/412 and Porsche 914. The text includes chapters on how to remove, disassemble, inspect and assemble engines, and recondition cylinder heads and crankcase internals. 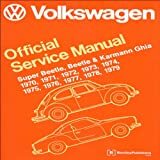 Service manual for vintage '60s Volkswagen Bug and Kharmann Ghia. Volkswagen owners will find this manual indispensable as a source of the same detailed maintenance and repair information available at an authorized Volkswagen dealer, the Volkswagen owner who has no intention of working on his or her car will find that reading and owning this manual will make it possible to discuss repairs more intelligently with a professional technician..